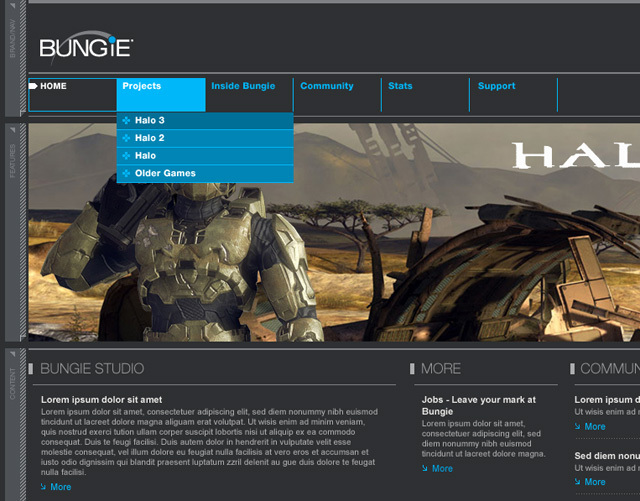 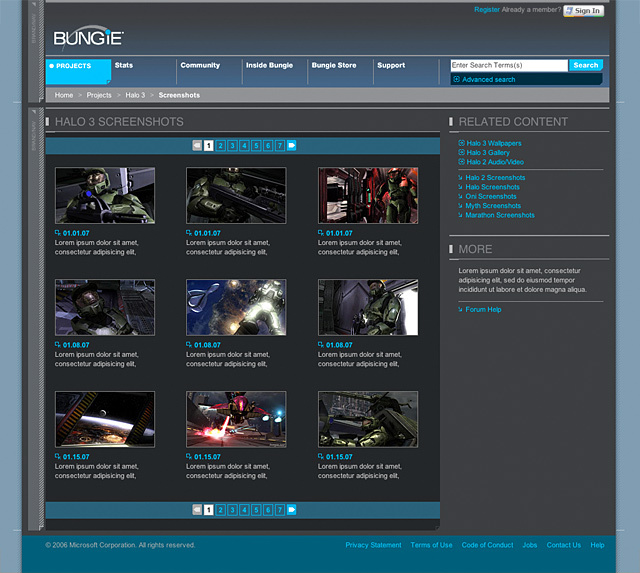 Bungie - the developer of the best-selling X-Box game series, Halo - wanted a way to represent their experience and maturity in the game industry through their site. 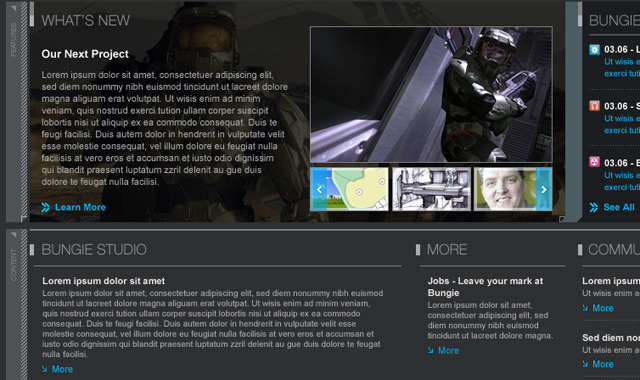 We worked closely with the client over the course of a year to plan and create a site that would accommodate continued growth and success. 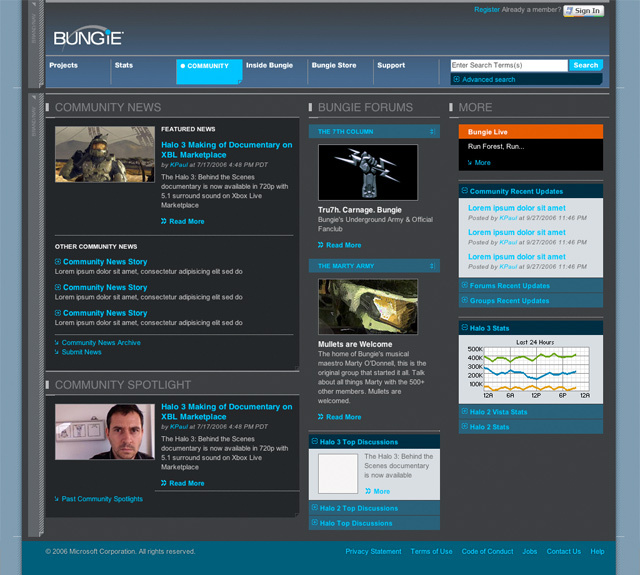 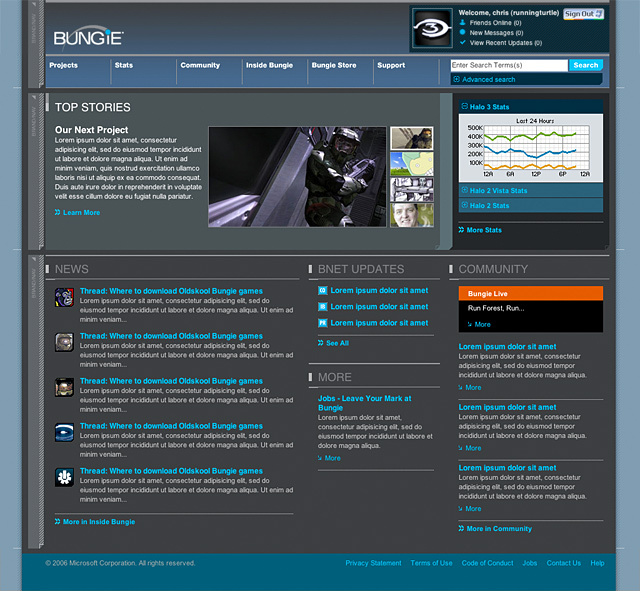 Bungie�s site today reflects currency, relevance, and achievement in the games industry.